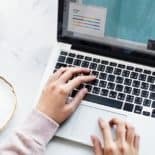 Updated: April 16, 2019 | 6 Comments | This post may contain affiliate links. Click here for our full disclosure. Even the most mainstream nutritional advice today says to minimize or avoid refined white carbs, like white flour, white pasta, and white rice. So then WHY on earth do they recommend a refined, powdery, white rice cereal for baby’s first food? It’s positively baffling. Rice cereal has practically no nutrition, and 6-month-old babies don’t even have the required enzyme (amylase) for grain digestion. It’s just not a good choice, friends. 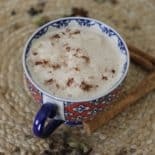 There are many better choices for nourishing (not to mention delicious!) 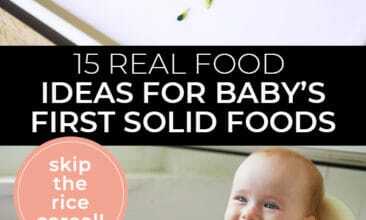 first foods for baby to enjoy. 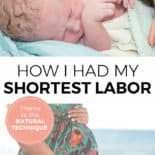 We went the rice cereal route with our firstborn, but once we learned more about real food (including real food for babies!) we did things drastically different with our second and third kids. 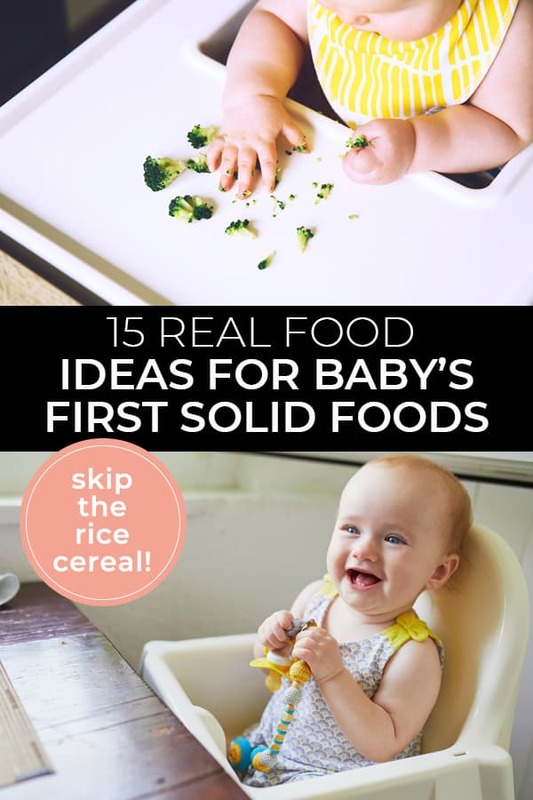 We ditched the rice cereal and started offering real foods via baby-led weaning when they started showing an interest and could sit up on their own. When we couldn’t do homemade food (like when out of the house) we would often use pouches of fruit and veggie purees like these ones from Plum Organics® – certified organic, non-GMO, minimally processed whole ingredients. I would hold off on the blends that have grains until after a year old, but the veggie-fruit combos are great for starting out. 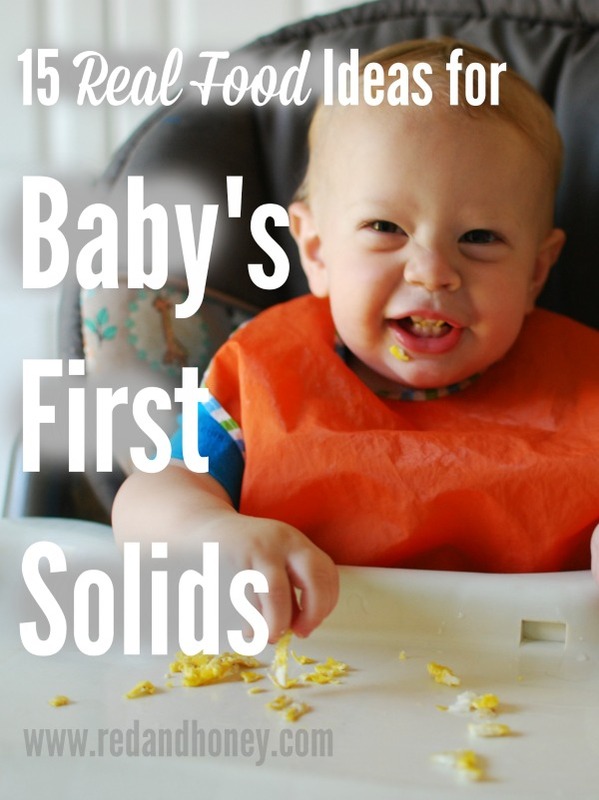 Here’s a list of fifteen of the first foods that we offered in the transition to solid foods. Keep in mind that this was a gradual and slow transition that took months (my babies didn’t really eat a lot of solids until after their first year). 11. Sweet potatoes, steamed and cut in chunks, or mashed with butter and salt/pepper. 12. Herbs and spices. Okay, technically not a food in and of themselves, but they deserve a spot on the list! 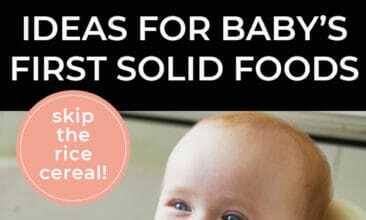 Babies don’t need to eat boring and bland food – jazz it up with herbs and spices! 15. A wee bit of homemade sauerkraut juice – an amazing and natural source of probiotics. Just a dribble of the juice to start out. 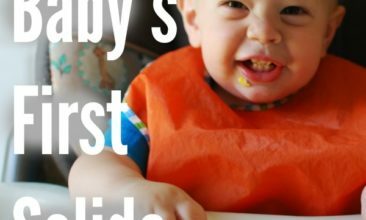 Introducing solids to a real food baby doesn’t have to be a bland, boring, or highly-processed experience! 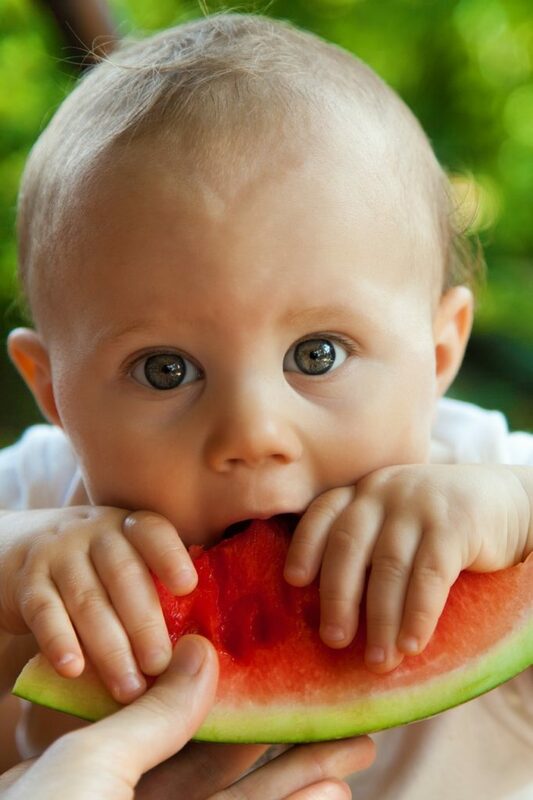 Give your babies whole, real foods to help them develop great lifelong eating habits. What was/is your baby’s favourite first food? 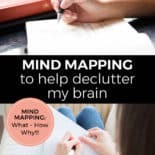 Disclosure: this was post was sponsored by Plum Organics, but the content and opinions are all mine! I only partner with companies that fit the mission of Red+Honey. How did you ensure your children were getting the recommended amount of iron? As a new mom, everything you are saying makes sense to me. I too also want to skip the rice cereal altogether, but it’s the iron that has me second guessing it.